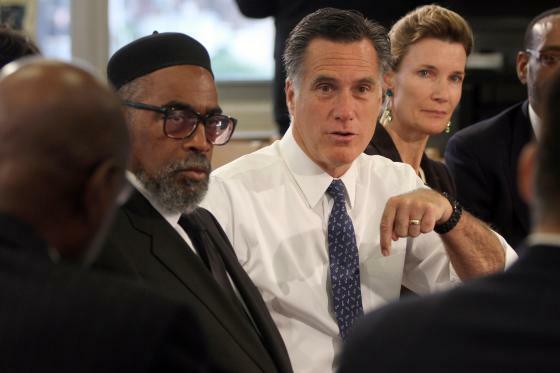 CSF Philadelphia Board President and CSF National Board Member Evie McNiff (right) participated in Mitt Romney’s education roundtable at Universal Bluford Charter School in West Philadelphia yesterday. CSF Philadelphia (CSFP) Board President and CSF National Board Member Evie McNiff participated in Republican presidential candidate Mitt Romney’s education roundtable, held at a Philadelphia charter school yesterday. At the event, Romney voiced his support for high-quality parental choice in education, calling for federal funds to follow every child, whether their parents want to send them to a public, public charter school, or a private school. He also spoke at length about the value of scholarships in conjunction with charters as the primary levers for choice, pointing to CSF’s success. “I’d like every parent to have a choice and every child to have a chance,” Romney said, paraphrasing CSF’s tagline. It’s no surprise that Romney chose Philadelphia to spotlight his education platform. More than 75,000 Philadelphia children are enrolled in charter, private, or magnet schools, including more than 2,500 children who are using CSFP scholarships to attend private school this year. For more on how Philly parents are demanding better educational options for their children by exercising choice, see this Philadelphia Inquirer op-ed by Philadelphia School Partnership’s Executive Director Mark Gleason. The Partnership is a collaboration of business and civic leaders working to create and expand great schools of all types in Philadelphia, and CSFP is a key partner in its efforts. We are grateful to note that CSF and its partners are contributing to the national conversation on education, as well as making an impact at the local level. Stephanie Saul’s article about Georgia’s tax credit scholarship program in today’s New York Times highlights some troubling aspects of the administration of private school scholarships in that state. We want to point out that tax credit scholarship programs vary in design, and Children’s Scholarship Fund (CSF) supports well-designed tax credit programs that are administered correctly and efficiently. I hope you will take a moment to read this redefinEDonline.org blog post by John Kirtley, Chairman of Step Up for Students, which administers scholarships funded by Florida’s corporate tax credit program. In 1999, John started a CSF partner program in Tampa Bay which led to his involvement in designing and running the Florida program. His post highlights the importance of program design in any tax credit program, as well as the obligation of such programs to serve the neediest children, to track scholarship recipient progress, to allow children to keep their scholarship if they transfer schools, and to operate in a transparent and fiscally responsible way. While not every program is perfect, the values and merits of tax credit programs should not be dismissed out of hand because of some imperfections in one program. Good tax credit programs (and private scholarship organizations) are providing a great benefit to thousands of low-income children, empowering them with a good education today, and greatly improving their chances for success in college and beyond. It’s that time of year again when our neighbors, Friends of Nick (FON), host their awards ceremonies to announce the winners of the coveted four-year high school scholarships. This year was also extra special because CSF President Darla Romfo spoke about her experience as a FON essay reader. Friends of Nick is a character-building program created in memory of Nicholas C. Forstmann (brother of CSF co-founder, Theodore J. Forstmann). Many CSF Scholars in New York City attend the FON workshops, and apply for their scholarship through an essay-based contest. Students write about their experience with the program and what they have learned about character. Every year we are eager to find out if any of the CSF Scholars will win! This year two CSF Scholars were proud recipients of the Friends of Nick Award. Congratulations to Thomas and Isaac! Thomas F. from Mt. Carmel-Holy Rosary School: Thomas has been a CSF Scholar since 2005 and will be attending Xavier High School in the fall. 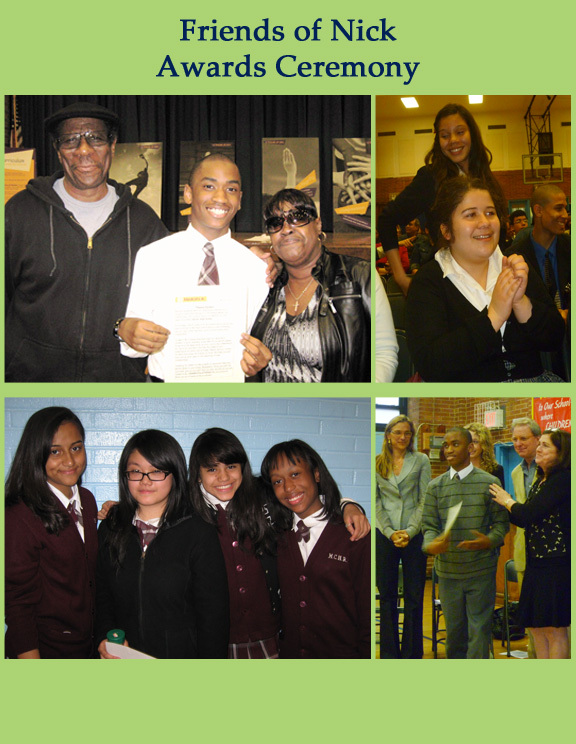 Isaac L. from Incarnation School: Isaac has been a CSF Scholar since 2008 and will be attending All Hallows High School. We are extremely proud of all the students and parents who participated! The ceremonies were insightful and heart-warming, and we are sure that Nick Forstmann would be proud. 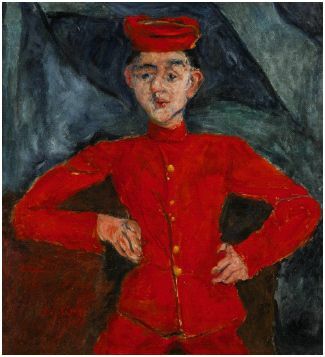 A selection of artwork from the estate of the late CSF Co-Founder Ted Forstmann will be auctioned at Sotheby’s tonight as part of an Impressionist & Modern Art Evening Sale. A second sale will take place on the evening of May 9th at the Contemporary Art Evening Auction. 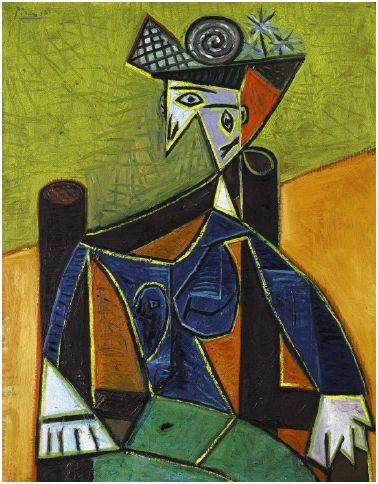 An oil painting by Pablo Picasso and a rare painting by Russian artist Chaim Soutine are among the highlights of the Forstmann collection, which also includes works by Gauguin, Matisse, and Toulouse-Lautrec, as well as more recent pieces by Jean-Michel Basquiat and others. You can read more about the sale and view some of the pieces here and here. It’s happened again. Charity Navigator has awarded Children’s Scholarship Fund four stars (its highest rating) for the sixth consecutive year. You can read CSF’s profile on the Charity Navigator site here.